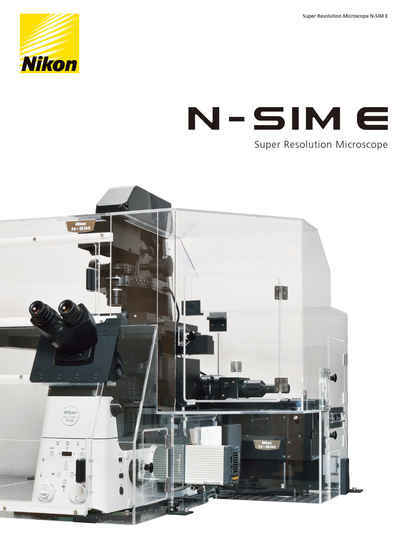 N-SIM E | Super-Resolution Microscopes | Products | Nikon Instruments Europe B.V.
A personal super-resolution microscope that provides the same high resolution as the N-SIM S.
N-SIM E is a streamlined, affordable super-resolution system that provides double the resolution of conventional light microscopes. Combining N-SIM E and a confocal microscope allows you the flexibility to select a location in the confocal image, and easily switch to view it in super-resolution, enabling the acquisition of more detail. 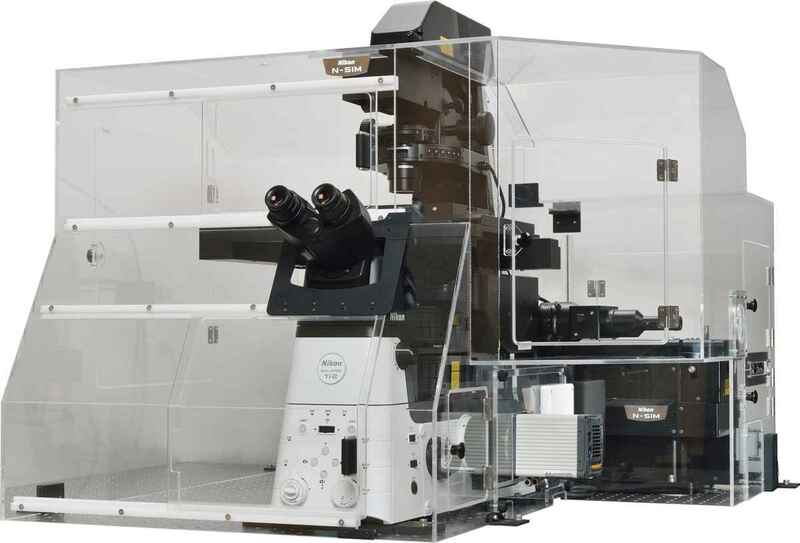 The N-SIM E utilizes Nikon's innovative approach to "structured illumination microscopy". 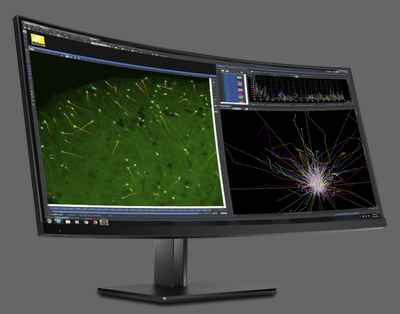 By pairing this powerful technology with Nikon’s renowned objectives (with unparalleled NA of 1.49) the N-SIM E nearly doubles the spatial resolution of conventional light microscopes to approximately 115 nm*, and enables detailed visualization of minute intracellular structures and their interactions. * This value is measured FWHM of 100 nm beads exited with 488 nm laser in 3D-SIM mode. N-SIM E provides fast imaging performance for Structured Illumination techniques, with a time resolution of approximately 1 sec/frame, effective for live-cell imaging. N-SIM E can acquire super-resolution images with a large field of view of 66 µm square. This larger imaging area enables very high throughput for applications/samples that benefit from larger fields of view, such as neurons, reducing the amount of time and effort required to obtain data. The 3D-SIM mode generates structured illumination patterns in three dimensions to deliver a two-fold improvement in lateral and axial resolutions. Two reconstruction methods (“slice” and “stack”) are available to optimize results according to application requirements (e.g. sample thickness, speed, etc.). Slice reconstruction is suitable for imaging living cells at specific depths, as it allows axial super-resolution imaging with optical sectioning at 300 nm resolution. Optional stack reconstruction, based on Gustafsson’s theory, is suitable for acquisition of volume data as it can image thicker specimens with higher contrast than slice reconstruction. The super-resolution microscope allows for accurate localization of the protein during division. Mouse keratinocyte indirectly immunolabeled for keratin intermediate filaments and visualized with Alexa Fluor® 488 conjugated secondary antibodies. 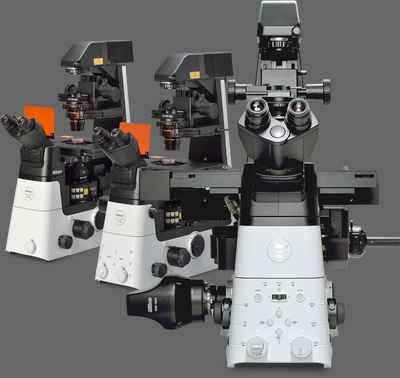 The N-SIM E can be combined with a confocal microscope such as the A1 or C2+. A desired location in a sample can be specified in a low-magnification/large FOV confocal image and acquired in super-resolution by simply switching the imaging method. Combining a confocal microscope with a super-resolution system can provide a method for gaining larger contextual views of super-resolution information. The compact LU-N3-SIM laser unit dedicated for N-SIM E is installed with the three most commonly used wavelength lasers (488/561/640), enabling super-high resolution imaging in multiple colors. It enables the study of dynamic interactions of multiple proteins of interest at the molecular level. The system can be configured with either a 100X oil immersion type, which is suitable for the imaging of fixed samples, or a 60X water immersion type, which is optimal for time-lapse live-cell imaging. The SR objectives are aligned and inspected using wavefront aberration measurement technologies to ensure the lowest possible asymmetric aberration and the superb optical performance required for super-resolution imaging. The N-SIM E is compatible with dry objectives, making both super-resolution imaging and confocal imaging available without switching lenses. Low-magnification, wide field-of-view dry lenses enable high resolution observation even at the periphery of sample tissues.